Ziggy as Seen on The Jason Show, January 24, 2019. 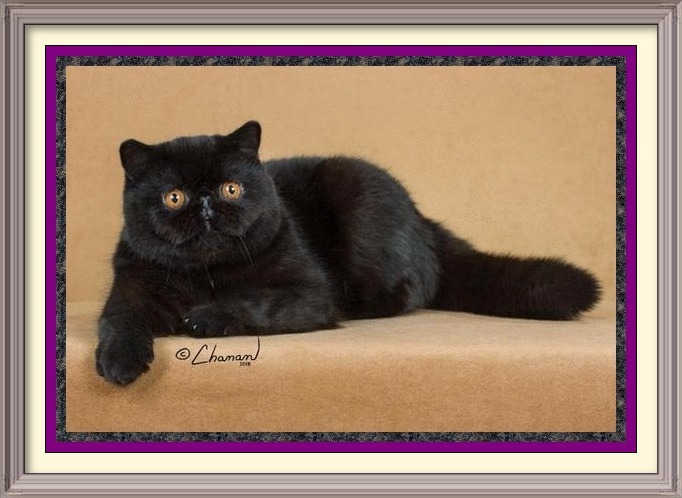 Featured at Feline of the week by Chanan Photography week of October Lisa Thostenson and Ruth West are the owners of this black Exotic Shorthair, Snomyst's Black as Knight. Lisa & Jordana of Jordanalisa when we received the Regional win on GC RW Entredos Divino of Jordanalisa. 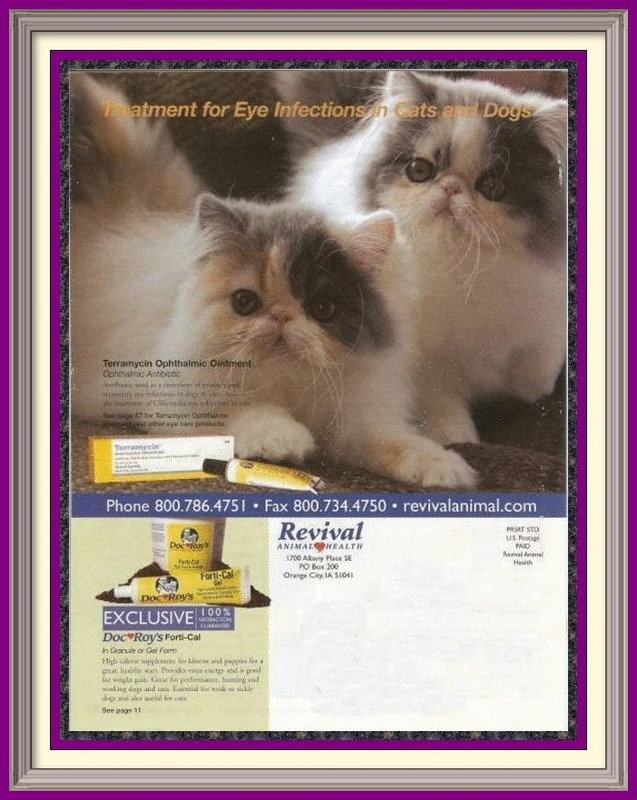 CH Jordanalisa's Divine Intervention and CH Jordanalisa's Delaney were featured on the back cover of the Revival Animal Health catalog. 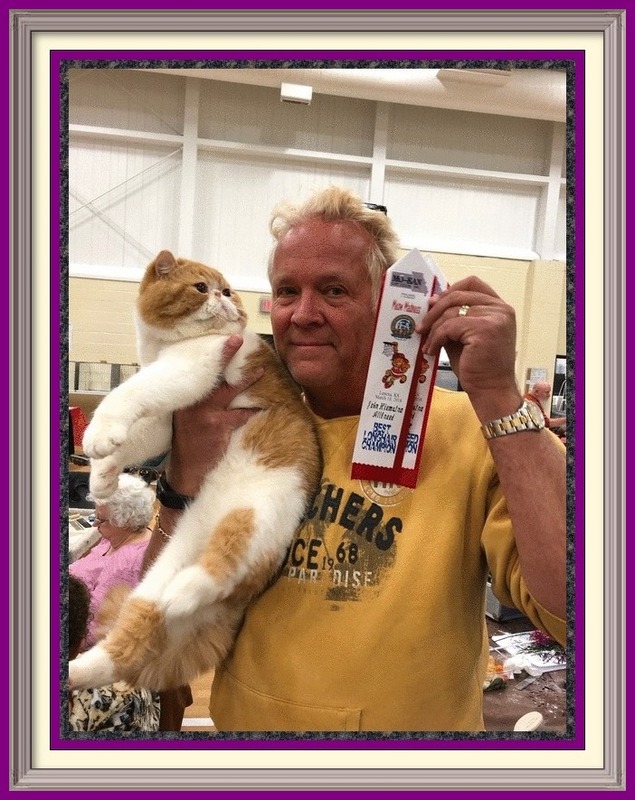 Special thanks to photographer, Preston Smith for submitting her photograph to the World renowned publication, the Cat Fancier's Magazine, CH Jordanalisa's Lionors is pictured on page 61. 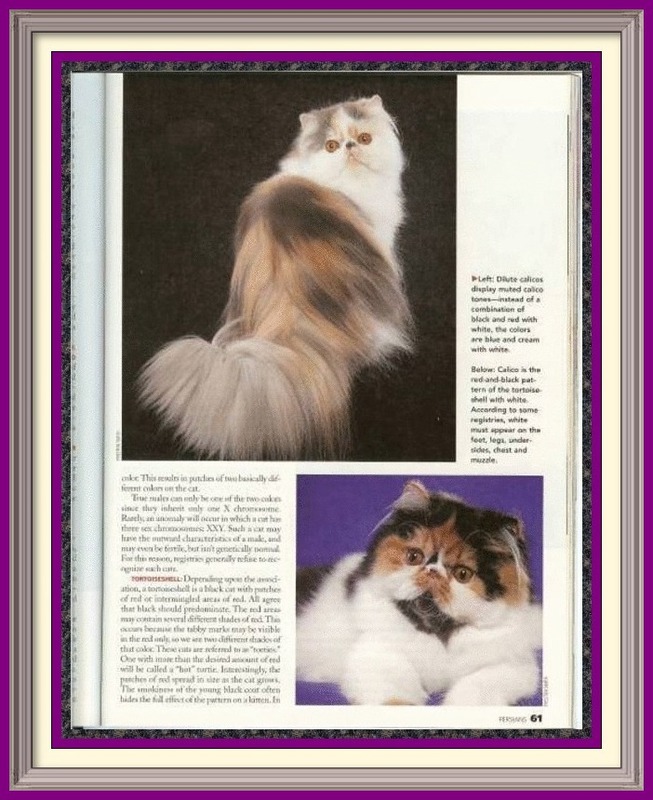 "Lionors" - Dilute Calico Female - CH Jordanalisa's Lionors was featured in the Calico and Bi-Color Division of the Persians Magazine, All About America's Favorite Cats. 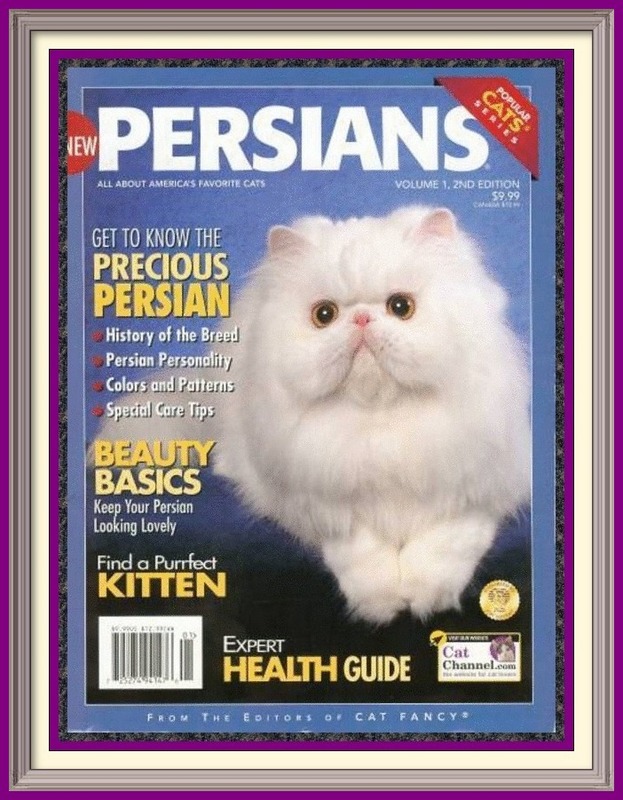 Volume 1, 2nd Edition 2007 of the Popular Cats Series Magazine. 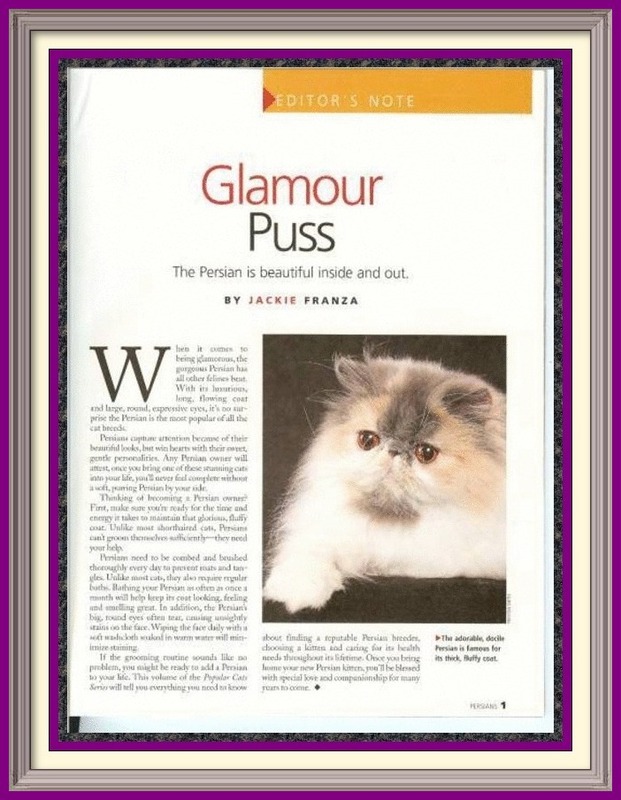 CH Jordanalisa's Eye's Got a Secret was pictured in the World renowned publication, the Cat Fancier's Magazine.